The wallcrawler comes a close second, however. It has always been Spidey’s job to keep the Big Apple safe, first and foremost, and none of the seven movies about Peter Parker’s alter ego have ventured far from the city. ‘Spider-Man: Far from Home’, the sequel to 2017’s barnstorming ‘Spider-Man: Homecoming’, will change all that, but perhaps not as we might first have imagined — if the recent trailer is anything to go by. After Spidey’s trips into the cosmos in ‘Avengers: Infinity War’, its tantalising title might easily have teased a journey beyond Earth’s borders. It’s not hard to imagine the new webslinger, who has already fought Thanos on Titan, hanging with Thor and the Guardians of the Galaxy in some post-’Infinity War’ intergalactic hellhole. But no, in keeping with ‘Homecoming’s’ impish, irreverent and intimate tone, the followup centres on a school trip to Europe in which Parker appears to be recruited by Samuel L Jackson’s Nick Fury for a mission to battle the Elementals alongside Jake Gyllenhaal’s Mysterio. It is hard to imagine another Spider-Man movie in which Marisa Tomei’s Aunt May might have wound up dating Jon Favreau’s Happy Hogan. In fact, it is hard to imagine the versions played by Sally Field or Rosemary Harris having much in the way of romance. And even Parker’s traditional poverty has been excised in this new version: the old Spider-Man would have had to take thousands of snaps for the Daily Bugle before he accumulated enough dosh for an overseas trip of this magnitude. While his humble position in life is a big part of Parker’s appeal, there is something to be said for shaking up the picture. 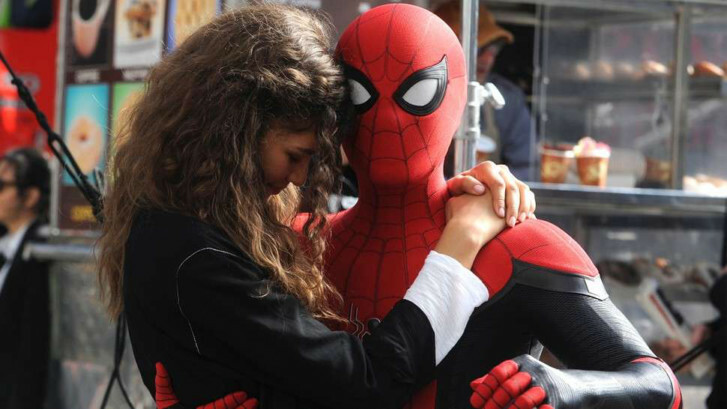 Even Peter’s growing affection for Zendaya’s MJ feels fresh and different in comparison with the character’s previous vacillation between Mary Jane Watson and Gwen Stacy. Yet this remains, unmistakably, Spider-Man. There is no sense, at this stage, that allowing the wallcrawler to resurface in some unnamed Euro-metropolis will end up as Marvel’s jump-the-shark moment. This dynamic ties nicely into Marvel’s recent preference for complex, multi-dimensional bad guys such as ‘Black Panther’s’ Erik Killmonger and ‘Homecoming’s’ Adrian Toomes/Vulture. Both of these might have turned out to be heroes, had best intentions not led them down very dark paths. Mysterio may be cut from the same unwholesome cloth. Comic book movies are often criticised for churning out superhero cliches. We should continue to praise Marvel for the studio’s constant efforts to shake up conventions — even when the characters are so familiar that they feel like relatives.